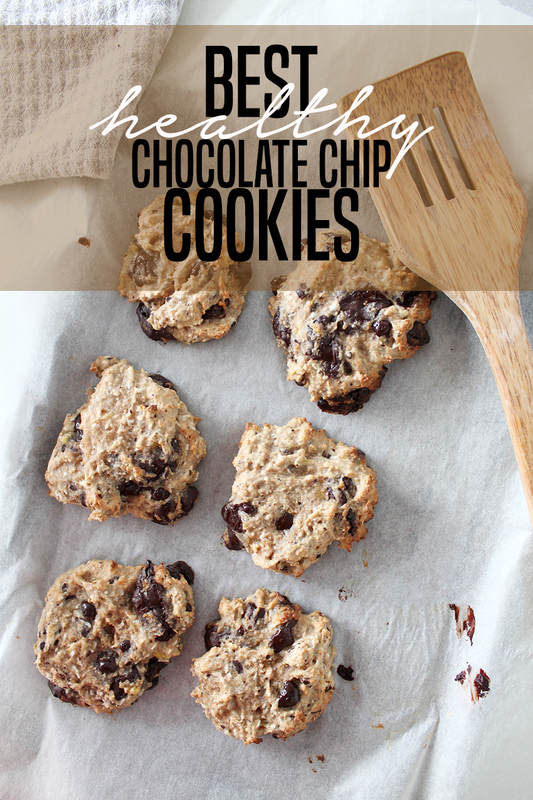 BEST HEALTHY VEGAN CHOCOLATE CHIP COOKIES | RAWR BOWS. 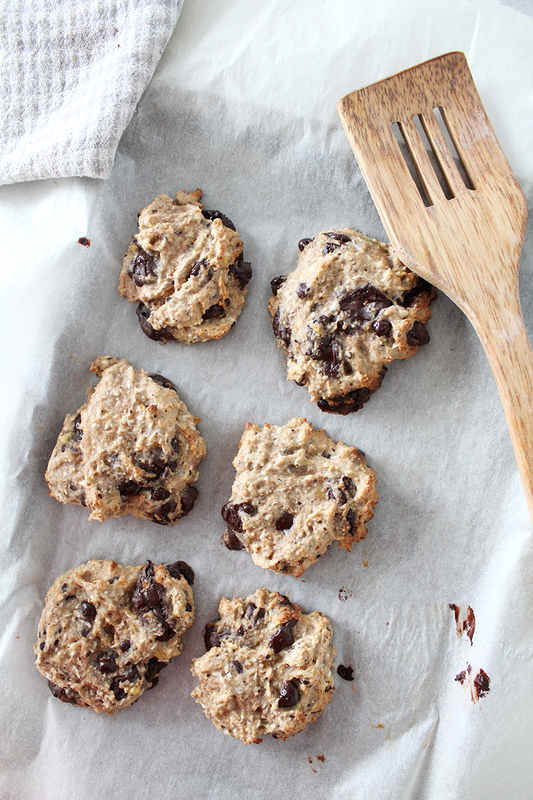 Healthy cookies are my favourite things to bake. 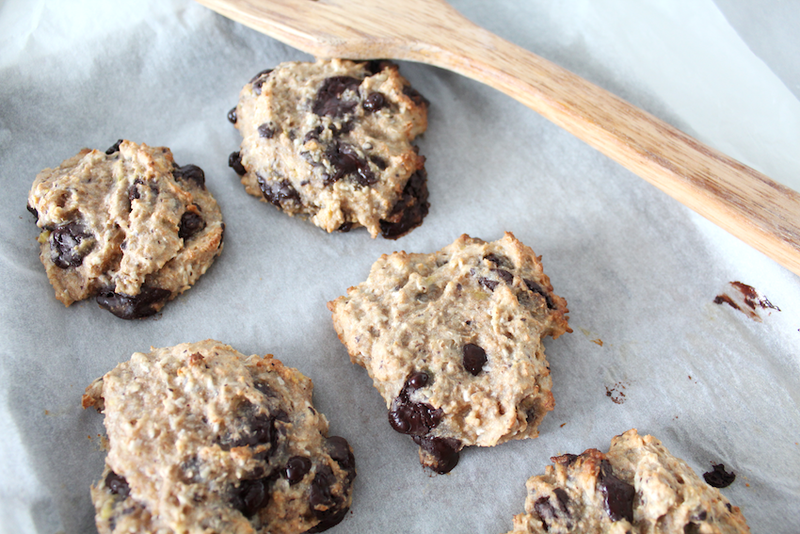 Sugar-free, banana anD oats, raisin, even chickpea - I've tried it all. The other day I was desperately craving cookies (thank you, hormones) but I was over sugary, buttery and god knows what else yet delicious cookies I usually buy at the grocery store so I went on my beloved Pinterest in search for a good recipe. I found a recipe for vegan chewy chocolate cookies, which looked incredible. I didn't use that exact recipe, but it was my source of inspiration. I kind of made a slightly healthier version and they were de-li-cious, perfect for a snack or dessert! Next time, I want to try and use milk, dark and white chocolate instead of just dark as I feel like it would be even better (and I loooove white chocolate). These take less than 30 min to make and are super easy, so no excuses! In a large mixing bowl smash the banana and mix it with the agave syrup and almond milk. Add in the flour, olive oil, baking powder and vanilla extract. Mix it all together until it's smooth and clump-free. You can buy chocolate chips at any supermarket but I personally prefer buying a bar of chocolate and chop it up. I used Lindt 90% dark chocolate - it is on the bitter side and not ideal if you want something sweet, in which case you can use 70% or even milk chocolate. Whatever you decide to go for, add it into the mixture together with the coconut. Mix until it's all evenly distributed. Line a baking tray with parchment paper and scoop the dough onto the tray, flattening each cookie a bit. You can make them as big or as small as you desire, this recipe will probably yield about 10 small ones or 5 big ones (depending how big they are!). Finally, bake them for 10-15 min at 180˚C and enjoooy!